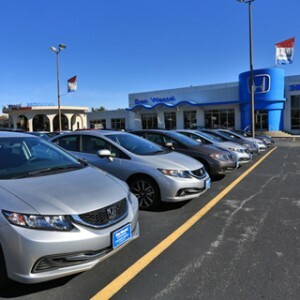 The days of lackluster, uninspiring hybrids are now firmly in the past, and Mid-Missouri’s drivers shouldn’t be surprised to learn that Honda’s hybrid lineup is leading the way forward. 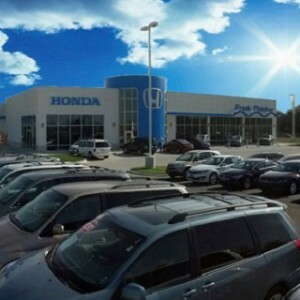 Indeed, Honda’s engineers have debuted a whole fleet of hybrids this year—and that means it’s easier than ever to get the performance you want in your next new or pre-owned car. The 2019 Honda Insight’s fuel economy, range, and horsepower make it one of the most exciting new arrivals, and we’re not the only ones who think so. This ultra-efficient sedan was based on the Honda Civic, but according to the experts at Consumer Reports, it also provides “ride quality, cabin quietness, and efficiency improvements” that drivers expect from more upscale models! Read on to find out what else sets this Hybrid apart. Some drivers may imagine a contradiction between hybrid efficiency on the one hand and real-world drivability on the other. With that said, we think that skeptics should rest assured: the 2019 Honda Insight’s torque and horsepower will impress you day after day! Contact and Ride Quality: The Honda Insight has been designed with MacPherson Strut Front Suspension, Multi-Link Rear Suspension, Power-Assisted Ventilated Front Disc Brakes, Solid Rear Disc Brakes, standard All-Season Tires, and, depending on which trim level you select, either 16-inch or 17-inch wheels. Together, these components allow the Insight’s passengers to enjoy a smoother, more relaxing touring experience. Horsepower and Torque: The power generated by the Insight’s two-motor hybrid system is always available right when you need it. In all but the most extreme situations, the primary force in your drivetrain will be the AC Synchronous Permanent Magnet Electric motor, which can deliver nearly 2000 lbs.-ft of torque, even at low RPMs! The gasoline-powered engine—which normally charges the battery—can give you an extra boost of power when you’re accelerating or passing. Safety and Stability: Every Insight comes standard with Vehicle Stability Assist (VSA) technology and Traction Control. These paired features allow this sedan to adjust the rate at which its inside wheels move when you’re turning quickly or rounding a curve. It’s a subtle effect, but it’s this subtlety that makes the Insight’s drive so satisfying. Rising fuel prices can make a trip to the pump a painful experience, but when you put the 2019 Honda Insight’s fuel economy to work for you, you’ll eliminate the worst stresses. No matter where you go or which upgrades you select, this compact sedan will keep you in the mood to explore. Deceleration Selectors: It goes without saying that brakes are an essential component in every car, but in the Insight, you’ll enjoy a compelling alternative to traditional systems. Automated deceleration technology can slow you down without braking, recharging your battery simultaneously. A steering wheel-mounted selector lets you choose from three deceleration settings. Two-Motor Hybrid System: The Insight’s efficiency is a product of its Two-Motor Hybrid System, which pairs a gasoline-powered Atkinson Cycle engine with an energetic AC Synchronous Permanent Magnet Electric Motor—giving you the best of both worlds. It’s able to offer such incredible fuel economy because in most cases, the engine is only used to recharge your lithium ion battery. Eco Assist System: With Honda’s Eco Assist technology, you’ll always experience your vehicle at its best. Portions of the Insight’s instrumentation are backlit with green and blue, and the color changes depending on how you’re driving! Green readouts indicate efficient, responsible driving, while blue light lets you know there’s room for improvement. ECON, Sport, and EV Drive Modes: The Insight’s standard push button 3-Mode Drive System lets you drive with more efficiency or more panache, depending on your mood. ECON mode puts your EcoAssist technology in control, keeping your Insight in its most efficient range, while EV mode lets you run, at least for a short time, entirely on electric power. Sport Mode engages the Insight’s engine to offer you more power and control. 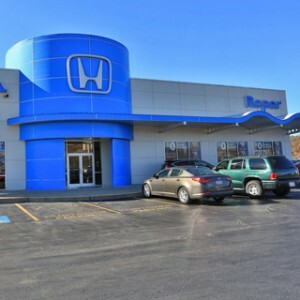 Take the Insight for a Test Drive! The 2019 Honda Insight’s horsepower and fuel economy make it the smart choice for our friends and neighbors in Mid-Missouri. Right now, drivers who take advantage of our current offerscan take home this hybrid sedan for a price they won’t believe! 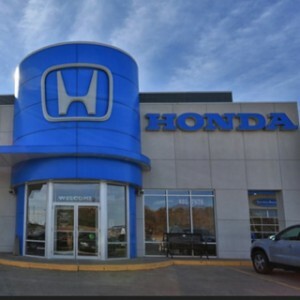 Contact your local Honda dealer to learn more or to schedule some time behind the wheel. Once you’ve experienced the Insight for yourself, you’ll see why it’s winning hearts left and right. * 55 city/49 highway/52 combined mpg rating for LX and EX trims. 51 city/45 highway/48 combined mpg rating for the Touring trim. Based on 2019 EPA mileage ratings. Use for comparison purposes only. Your mileage will vary depending on driving conditions, how you drive and maintain your vehicle, battery-pack age/condition and other factors.